We had an absolute TON go on this week. So bear with me, I'll try to pack in as much detail as I can! We had a super sweet finding miracle this week, on Tuesday. We were knocking through this apartment, and we walk up the stairs and hear some commotion going on. We pinpoint which door the noise was coming from, suspecting that there was a Hispanic family behind that door (since we are assigned as Spanish speaking missionaries, we are specifically looking for Spanish speaking investigators). We get a little closer, and we're like Oh yeah those are for sure Hispanic kids in there! So we knock, and it turns out.. They were Indian!😂 I guess my "Hispanic Senses" aren't up to 100% still haha. But, we went for it anyway and they let us in to teach them! The Dad was the main person talking to us while the mom was trying to get all the kids out the door, but his name was Anwar and he was the nicest guy ever. 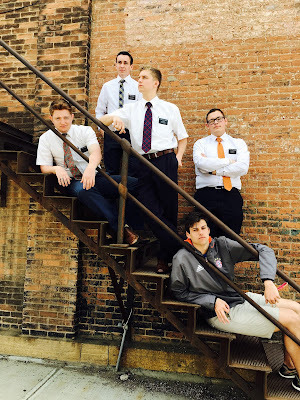 He told us they were Muslim, so it was the first Muslim I have taught on my mission. Pretty neat surprise! It went really well, he talked to us a lot about what he believes in and told us he enjoys learning about other religions. We got on the topic of prophets and we related his beliefs of the prophet Muhammad and the Karan to the Book of Mormon. Just like what he believes the Karan to be, it is a Book full of revelation from God brought forth by the hand of a prophet - Joseph Smith! 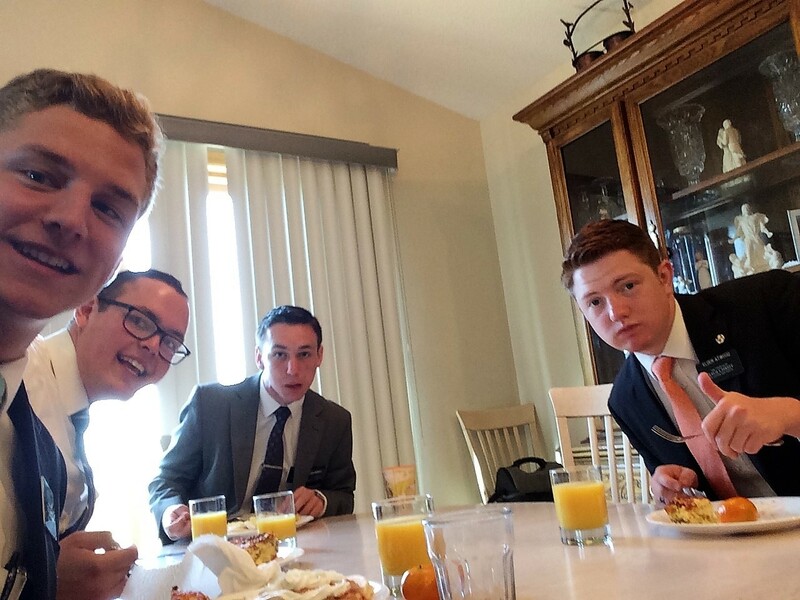 We invited him to start reading the Book of Mormon, as well as the Bible, and ponder their teachings. And he accepted! Super awesome experience that we weren't expecting at all hahaha. Another interesting thing that happened this week.. I went to jail!! Don't worry I didn't get in trouble haha. We actually got to visit a member of the ward who has gone through a lot in his life and it was actually super awesome! He has his struggles, but you can still tell his faith is still kindling inside him. We got to say a prayer with him and also give him a Book of Mormon, which he appreciated a lot! An additional adventure from the week: Running into drunk dudes! We knocked on doors through this little neighborhood in Mankato and this guy is just standing in his driveway with a beer and a cigarette in his hands. We tried talking to him for a bit, and he just went off on these weird tangents on hitting a deer with his car on the highway one time. And we were like, what the heck is he talking about? Haha, oh man it was hilarious! But besides being a little hard to talk to, he was surprisingly a really nice guy and accepted our card and a Book of Mormon. Doubt anything will come from it, but who knows! On Saturday we were able to help out an older couple in the ward, the Hancocks, move out of their trailer-home. They live a way out in a town called Madison Lake, so it's a bit of a drive - about 30 minutes. They bought an old bus that was originally a school bus, then had all the seats taken out. So, we ended up packing almost their whole house into this thing and stuffed it to the ceiling! It was like a crazy game of tetris lol. We didn't get all of it done that afternoon, so today we sacrificed a bit of our day off and woke up early at 5:45 to drive out there again and help them finish everything before they had to leave. Despite our efforts to get it done early, we still ended up working until about noon and then they took us out to lunch! So that's why this email might be a bit late today, perdón. I'll attach a pic of the gnarly bus though! We didn't get to see a lot of our progressing investigators this week, partly because half of them are miles away in New Ulm, partly because of scheduling conflicts. But Germán is still doing well, we just need to help him get to church so he can be baptized! Keep him in your prayers, as well as Shun. 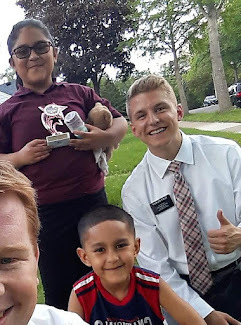 This week was such a solid week, and I wish I had more time to include some other mini-miracles, but I know that the work we are doing is the Lord's work. He is preparing people all around the world to receive the restored gospel of Christ and we get to share this glad message with others! I hope all you lovely mothers had a wonderful Mothers Day! I sure enjoyed my opportunity to skype with my family and tell them how much I love them. I am so blessed to have such a strong and loving mother! A quote that was mentioned in a talk during church really touched me. From the 2015 General Conference, an apostle from our church, Elder Jeffery R Holland, said "No love in mortality comes closer to approximating the pure love of Jesus Christ than the selfless love a devoted mother has for her child". Mother's have such a divine role in the family, and have special qualities of kindness and compassion that help them fulfill this important responsibility. I cannot express how grateful I am for my mom and all she has done for me, and for our loving Father in heaven who has blessed us each with an opportunity to come to earth and have a family! I hope you all know how much I appreciate every one of you as well, y espero que disfruten su semana!